That which is correct is that fasting the 15th of Sha’baan or specifying it with reciting (the Quraan) or making (particular) supplications has no basis. So the day of the 15th of Sha’baan is like any other 15th day of other months. So from that which is known is that it has been legislated for a person to fast the 13th, 14th and 15th of every month, however, Sha’baan is characterised unlike the other months in that (except for Ramadhaan) the Prophet (sal-Allaahu `alayhe wa sallam) used to fast more in Sha’baan than any other month . So he used to either fast all of Sha’baan or just a little. Therefore, as long as it does not cause difficulty for a person, it is befitting to increase in fasting during Sha’baan in adherence to the example of the Prophet (sal-Allaahu `alayhe wa sallam). Is standing the night of the 15th of Sha’baan in prayer and fasting during it’s day legislated? Nothing firm and reliable has been established on the authority of the Prophet (sal-Allaahu `alayhe wa sallam) that he stood in prayer in the night and fasted during the day of the 15th of Sha’baan. So the night of the 15th of Sha’baan is like any other night, and if someone is a regular worshipper during other nights, then he may stand the night in prayer on this night without assuming anything special (because of it being the night of the 15th of Sha’baan). 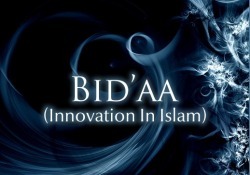 This is because specifying a time for any act of worship requires a authentic proof, so if there is no authentic proof then the act is regarded as an innovation and all innovations are misguidance. Likewsie, regarding specifically fasting during the 15th day of Sha’baan, then no (authentic) proof has been established on the authority of the Prophet (sal-Allaahu `alayhe wa sallam) to indicate the legislation of fasting on that particular day. “The Prophet, peace and blessings be upon him, sent some cavalry towards Najd and they brought a man from the tribe of Banu Haneefah who was called Thumaamah ibn ‘Uthaal. They fastened him to one of the pillars of the Mosque. And this is because the path that takes one to Allaah is one, and it is what He sent His Messengers and revealed His Books with, and nothing can take one to Allaah, except this one path. 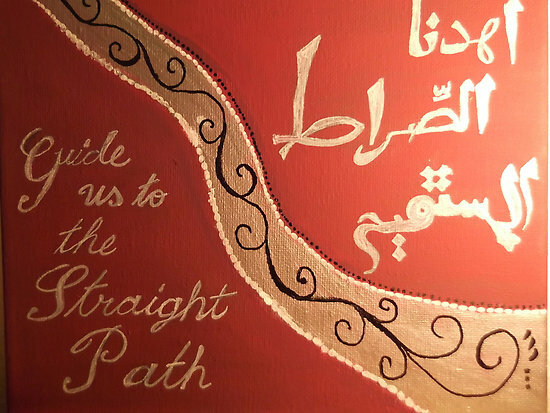 And even if the people were to come from every path, and they entered through every door, then all of these paths would be obstructed for them and all of those doors would be closed for them, except this one path; since it is the one that takes one to Allaah. So this hadeeth proves through its text that the path is one. Ibnul-Qayyim (d.751H) said, “And this is because the path that takes one to Allaah is one, and it is what He sent His Messengers and revealed His Books with, and nothing can take one to Allaah, except this one path. And even if the people were to come from every path, and they entered through every door, then all of these paths would be obstructed for them and all of those doors would be closed for them, except this one path; since it is the one that takes one to Allaah.”  I say however, that the one who is unstable upon it will encounter doubt and feebleness. And the one who deviates only deviates to the sect due to numbers and fears being alone and hastily proceeds to the destination and cowers away from the long trip. Ibnul-Qayyim said, “Whoever makes the path long, his walk will become weak.”  And Allaah is the One from Whom aid is sought. [i] The taqwaa (fear, reverence) of Allaah, and it means ikhlaas (sincerity) here, because it is attached to ittibaa’ (following). [ii] And al-ittibaa’ which refers tot he Straight Path, as has preceded. Saheeh: Related by Ahmad (4/102), Aboo Daawood (no. 4597), ad-Daarimee (2/241), at-Tabaraanee (9/376, 884-885) and al-Haakim (1/28). It was authenticated by al-Albaanee in Silsilatul-Ahaadeethus-Saheehah (no. 203). Saheeh: Related by an-Nisaa‘ee (no. 184) and Ahmad (1/435) and this wording is by him. It is also related by ad-Daarimee (1/67-68) and at-Tabaree in Jaami’ul-Bayaan (8/65). Saheeh: Related by Aboo ’Ubayd in Fadaa‘ilul-Qur‘aan (p. 75), ad-Daarimee (2/433), as-Sunnah (no. 22) of Ibn Nasr, Fadaa‘ilul-Qur‘aan (p. 74) of Ibn Darees, and Ibn Jareer in his Tafseer (no. 7566), at-Tabaraanee (9/9031), ash-Sharee’ah (no. 16) of al-Aajurree, al-Ibaanah (no. 135) of Ibn Battah. Saheeh: Related by at-Tabaraanee (10/10454), al-Bayhaqee in ash-Shu’ab (4/1487). And the likes of it has been related by Ibn Jareer in his Tafseer (8/88-89). Hasan: Related by Ibn Nasr in as-Sunnah (no. 69), Ibnul-Waddaah in al-Bida’ (no. 76), al-Haakim (1/93), and al-Albaanee declared it authentic in his notes to al-Mishkaat (no. 186). Saheeh: Related by Ahmad (4/126), Ibn Maajah (no. 5, 43), as-Sunnah (no. 48-49) of Ibn Abee ’Aasim and al-Haakim (1/96). It was authenticated by al-Albaanee in Dhilaalul-Jannah fee Takhreejis-Sunnah (1/27). Related by Ibn Zamneen in Usoolus-Sunnah (no. 8) and al-Laalikaa‘ee in Sharh Usoolul-I’tiqaad (no. 201), al-Khateeb al-Baghdaadee in al-Faqeeh wal-Mutafaqqih (p. 476-480), Jaami’ Bayaanul-’Ilm wa Fadlihi (no. 2001, 2003-2005), Ibn Hazm in al-Ihkaam (6/42-43), and al-Bayhaqee in al-Madkhal (no. 213) and Qiwaamus-Sunnah (1/205). Saheeh: Related by Wakee’ in az-Zuhd (no. 315), ’Abdur-Razzaaq (no. 20456), Aboo Khaythamah in al-’Ilm (no. 54), Ahmad in az-Zuhd (p. 62), ad-Daarimee (1/69), Ibnul-Waddaah in al-Bida’ (no. 60), Ibn Nasr in as-Sunnah (no. 78, 85), at-Tabaraanee (9/8770, 8845), Ibn Battah in al-Ibaanah (no. 168-169), al-Laalikaa‘ee in Sharh Usoolul-I’tiqaad (no. 104-108), al-Bayhaqee in al-Madkhal (no. 387-388), al-Khateeb in al-Faqeeh wal-Mutafaqqih (1/43). It was authenticated by al-Albaanee in Kitaabul-’Ilm of Abee Khaythamah. Saheeh: Related by Ibn Nasr in as-Sunnah (no. 82), al-Laalikaa‘ee in Sharh Usoolul-I’tiqaad (no. 126) and al-Bayhaqee in al-Madkhal (no. 191). Related by ad-Daarimee (1/53), Ibn Waddaah in al-Bida’ (no. 61), Ibn Nasr in as-Sunnah (no. 83), Ibn Battah in al-Ibaanah (no. 200-206), and al-Khateeb in al-Faqeeh wal-Mutafaqqih (1/83). Hasan: Related by Ishaaq Ibn Raahwayh, as is found in al-Matlabul-’Aaliyah (no. 1306), Ibn Abee Shaybah (4/103) and by at-Tabaraanee (24/92) by way of him. And it is related by Ahmad (1/252, 323, 337) and by at-Tabaraanee also in al-Awsat (1/42) and by al-Khateeb al-Baghdaadee in al-Faqeeh wal-Mutafaqqih (no. 379-380) and by Ibn ’Abdul-Barr in is Jaami’ (no. 2378-2381). It was authenticated by Ibn Hajar in al-Matlab, and it was declared hasan by al-Haythamee in al-Majma’ (3/234) and by Ibn Muflih in al-Aadaabush-Shar’iyyah (2/66).